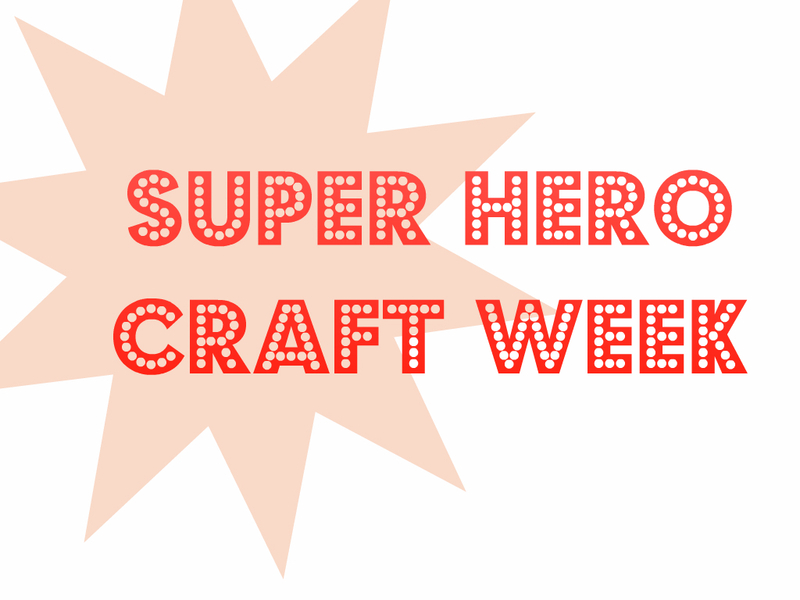 Welcome to Super Hero Craft Week! 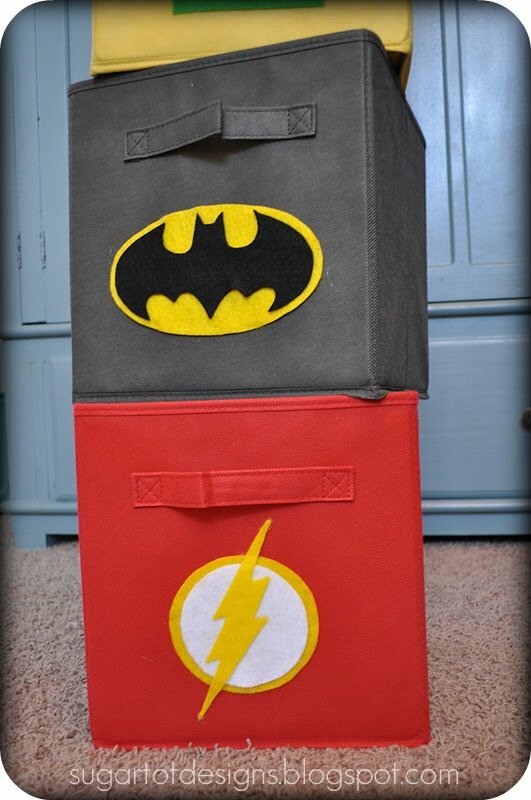 My son has recently become interested in super heroes, and I know with some of your boys, it is more of an obsession! 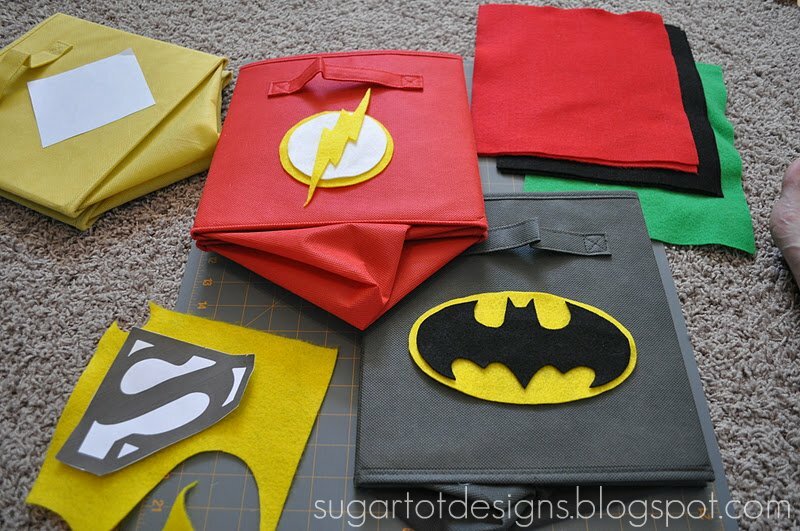 I hope this week you will find some fun ideas and crafts to keep your super hero loving kids happy! Today, I'm excited to have the sisters, Telisa and Sarah, from Sugar Tot Designs! 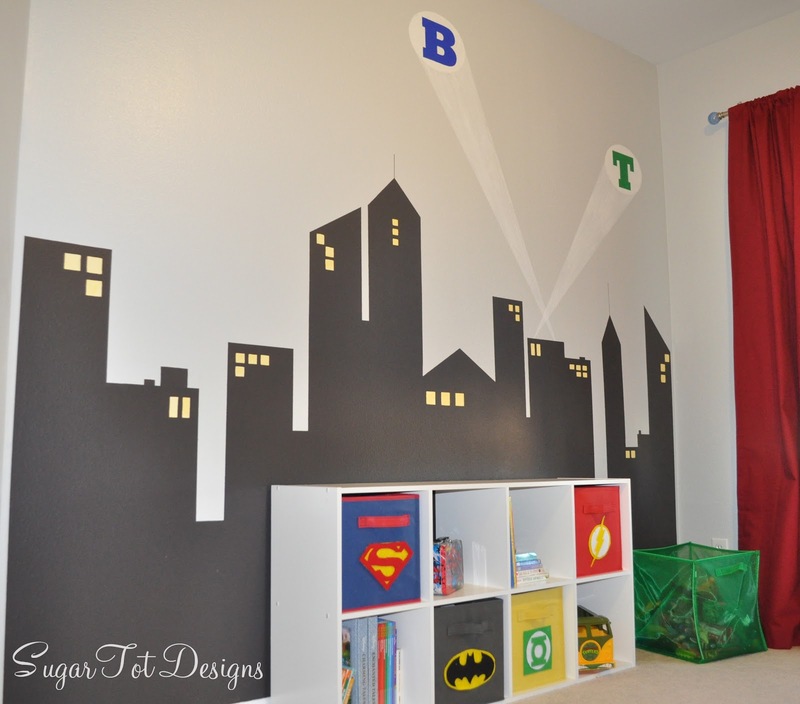 They have an incredible blog full of home decor ideas and party designs. They have free printables, as well as some great party printables in their shop. 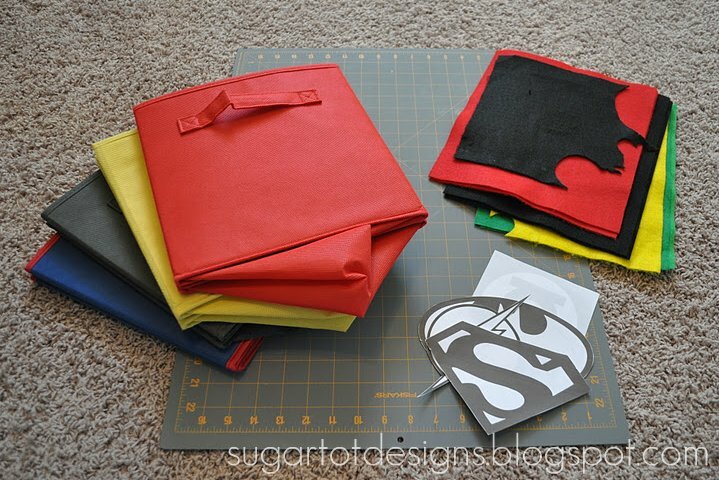 Most recently, they posted Super hero cupcake toppers and an Avengers Party Pack! 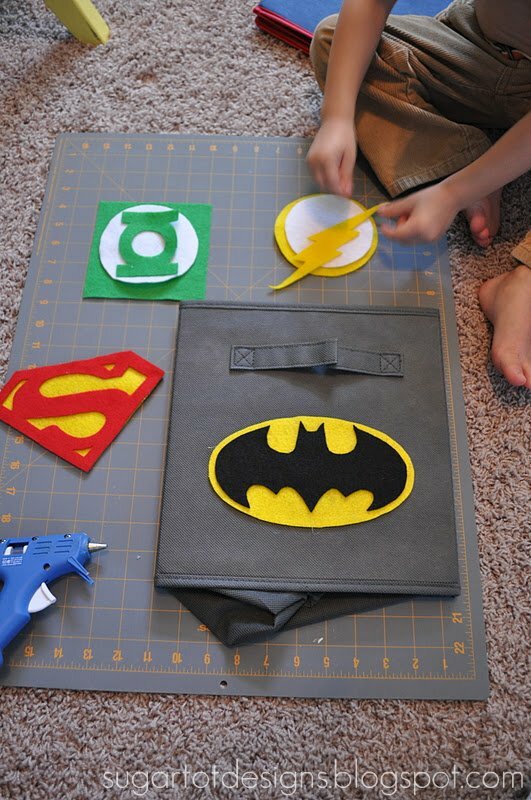 I am sooooo excited to be able to be part of Lindsay's Superhero craft week. . . what more could a Mom of three boys want?!? To say my sons are obsessed with superhero's right now is an understatement. They can spot anything and everything superhero wherever we are. . .
which is not always a good thing. I am running out of excuses of why we can't buy every superhero thing they see. 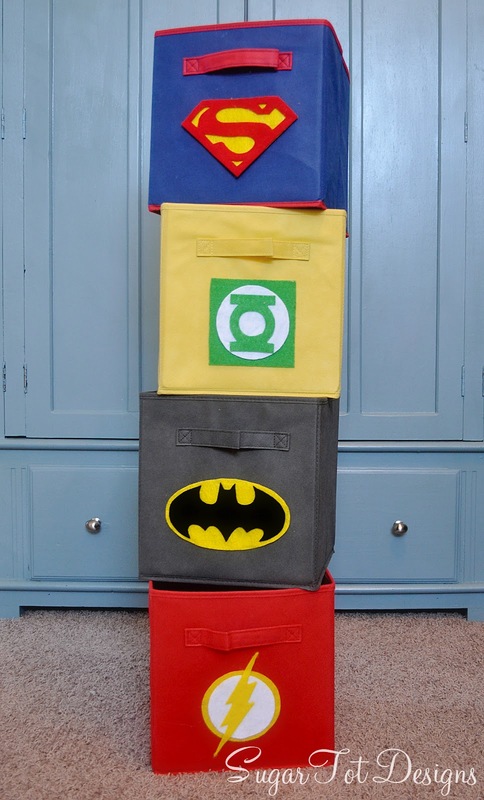 I had a bunch of these bins from both my boys room and since I was getting ready to have them share a room, I was trying to think of a way to use them in one place. 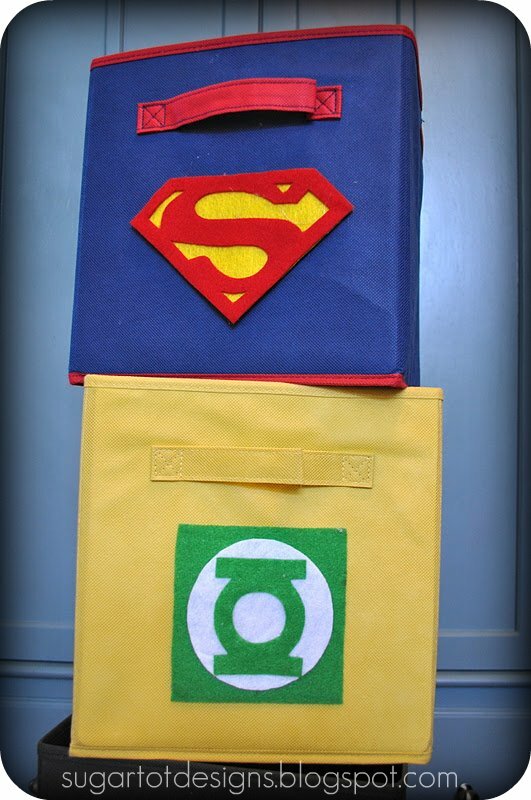 Why not put their favorite superhero logos on them?? I had almost everything I needed to make these at home. . . LOVE those kind of crafts. This font has every superhero logo and more. My sons loves me just printing them out so they can color them. Cut out each layer/color of the logos. 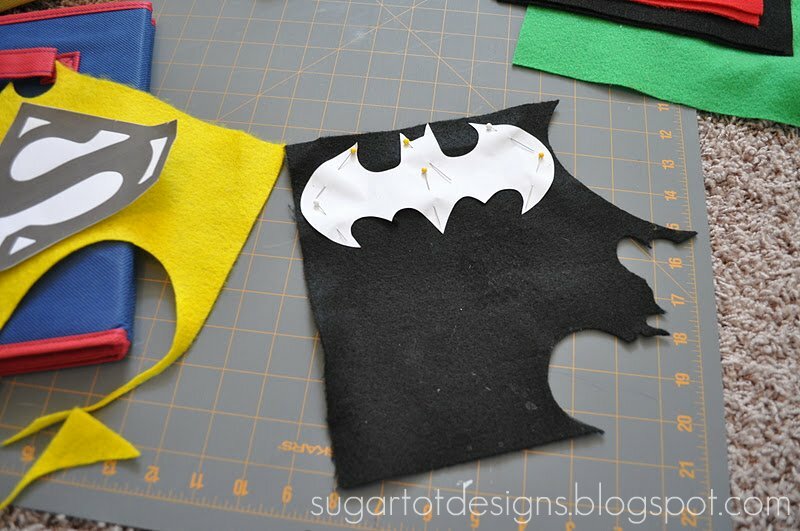 Pin (I found it easier to pin than trace on felt) the logos onto your felt and cut out. Glue your background piece on the bin first and then the rest of the pieces to finish the logo.